Ok, it is time to come out of the closet. Let set aside the word climate change due to all the hype of “if it is occurring” or “if not occurring”. “If” creates confusion. What is going on is drought. Alaska is the largest state in our union. The second and third largest sates are Texas and California. Both the second and third largest states are experiencing extreme drought conditions. In addition, they produce the majority of agricultural crops for the United States. An urgent alarm has been sounded when California governor, Jerry Brown, issued a historic mandatory water restrictions for the state shouted Bill McColl last week in his article “Why the California drought matters to you”. Any of you that have lived in drought conditions over the past 20 years knows how it feels to survive through a summer of 100+ Fahrenheit degree temperatures with little to no rain in sight. Did you fall to your knees and pray for relief? You may want to put on your praying hat since we have work to do and can use all the guidance possible. It has been everything I could do to squelch my emotions. Laying on the floor in the middle of my tears will not solve the problem of no water. It is disheartening to know the potential fear that overwhelms your soul with the realization of current environmental conditions. It is very important that we put our fears and tears in a box and walk away. We must take action to do everything we can to preserve whatever resources; such as water, that are still available on our planet. The situation is not going to get any better any time soon. A statement holds in my mind, “we will have to take every airplane out of the sky to stop the current destruction of our environment”. Yes, I can completely understand how unrealistic this sounds. Know that it is unheard of for scientists to start waving their hands in the air and make a statement without the support of sound scientific inquiry. This means coming up against maga-experts in all fields of science and on both sides of the table saying “show me”. Not “prove it” since science does not ever prove anything. “Show me” means a lot of research, data collection, and data crunching using statistical analysis on the numbers. So allow me to jump into the first step of looking at the big picture of what we are facing. Trust me that the tears filled my eyes when I came across this information. Some scientist gathered together and collaborated on a project to look into the paleoclimate history related to drought. Paleoclimatology simply means “the study of changes in climate taken on the scale of the entire history of the Earth” revealed by Wikipedia.org online encyclopedia. Some tools used for this investigation include tree rings, corals, shells microfossils, and rocks. The results of Woodhouse’s crew of detailed study uncovered some interesting results. The extreme mega-drought that occurred from ~AD 900 to 1300, termed the “Medieval Warm Period”, were not as warm as the conditions found in the 20th and 21st centuries. This means that the current drought conditions found in the southern east and west United States are more severe than any other recorded drought conditions since 600 AD. Even the conditions found during the Dust Bowl does not compare to current high temperatures and dry weather occurring in the present. The current drought conditions have been accumulating for over 15+ years. It will take more than 10 consecutive years (in a row) of high levels of rain fall to refill the water in lakes and rivers; and in the underground aquifers to replenish our parched lands. The chance of this is like taking every airplane out of the sky, today. There is a very good chance I will be sharing more information about our current drought conditions so keep an eye pealed. The time to Take Action is now. It is time to fill your minds and lifestyle habits with water conservation strategies to Combat Drought. Please feel free to share any of your thoughts. Cook. Edward R., Connie A. Woodhouse, Mark C. Eakin, David M. Meko, and David W. Stahle. 2004. Long-Term Aridity Changes in the Western United States. Science. Vol. 306. Issue 5698. Woodhouse, Connie A., David M. Meko, Glen M. MacDonald, Dave W. Stahle, and Edward R. Cook. 2010. 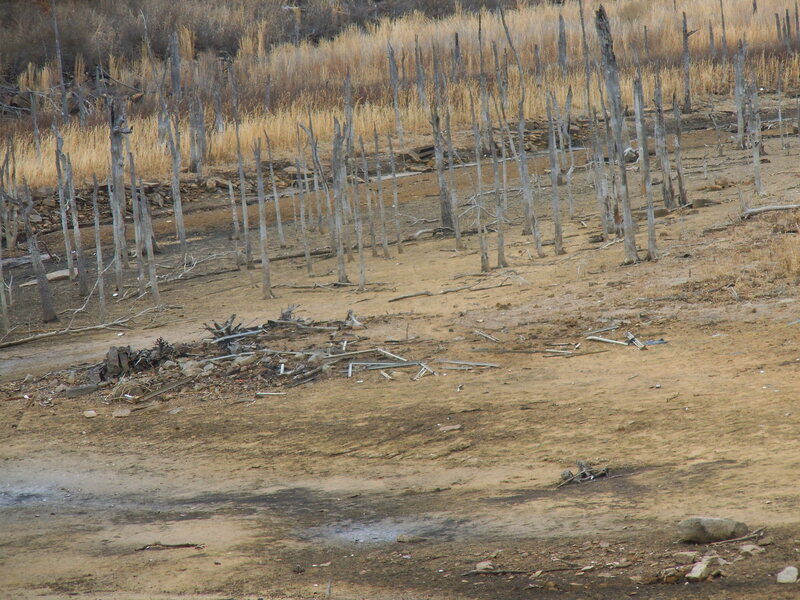 A 1,200-year perspective of 21st century drought in southwestern North America. Proceedings of the National Academy of Sciences of the United States of America. Vol. 107:50. Pgs. 21283-21288.